Best-selling Motherlove More Milk Plus Capsules contain alcohol free liquid concentrate in convenient vegetarian capsules designed to support breast milk supply for breastfeeding mothers. 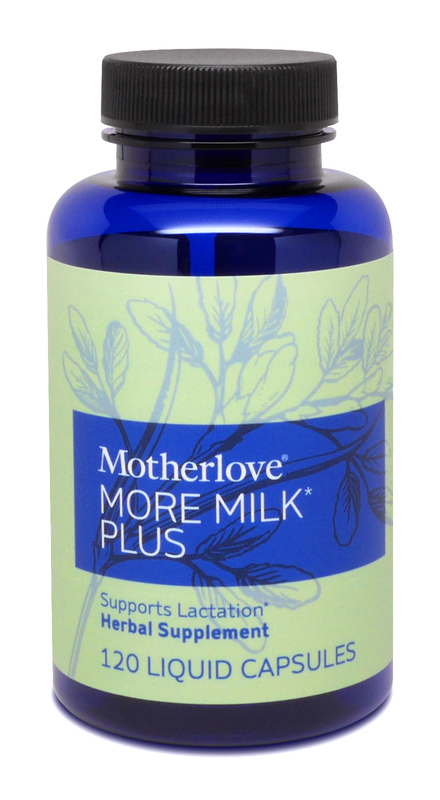 Helpful when milk supply has decreased due to growth spurts, separation, illness or stress. Capsules are easy to take and avoid the taste of the tincture. 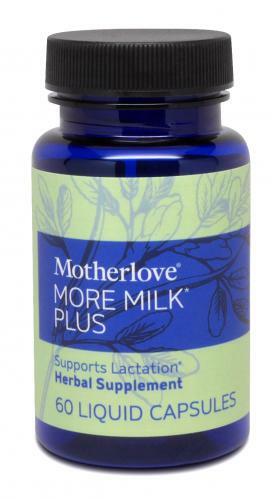 Best-selling Breastfeeding Supplement in U.S. Not for use during pregnancy. Suggested Use: Take 1 capsule 4 times per day. Women over 175 lbs take 2 capsules 3 times per day. May be taken with 1-2 oz. of liquid. Avoid additional liquids 15 minutes before and after each dose. With my first child I took Fenugreek alone. In order for me to see an increase, I was taking up to 6 pills a day for at least 3 days (if I remembered). I purchased this product before my little one was born and started using it right away. (I did not want a low supply to be a question.) I actually had to stop taking it due to an over production. We are in a growth spurt and I started back taking them. I have took 1-2 a day for the last 2 days and have noticed an increase! I also have a large bottle of plain Fenugreek, but will not be using it. I will take one to two pills over taking six pills a day, anytime! Very pleased with this product, and more importantly, my little one is too! I had a preemie and had no supply issues at first just pumping. However, after my baby came home from the hospital my supply plummeted. Not sure what the reason was (probably a lot was stress) I tried this, hoping it would help. It was AMAZING! Talked to Dawn at the mommygear store and she said to give it a FULL week...well it took a FULL week but on the 7th day it was AMAZING! My milk supply was back to where it was a month previous. If it was not for this I probably would have had to switch to formula because my supply was too low and my freezer was getting empty.